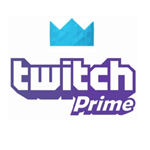 After payment on your specified Twitch, the number of Prime + Follow subscribe subscriptions will be executed. - In order to start the order, we need to contact us after the purchase. -Contact us by Plati or Skype or Telegram in-house chat and we will answer all your questions!